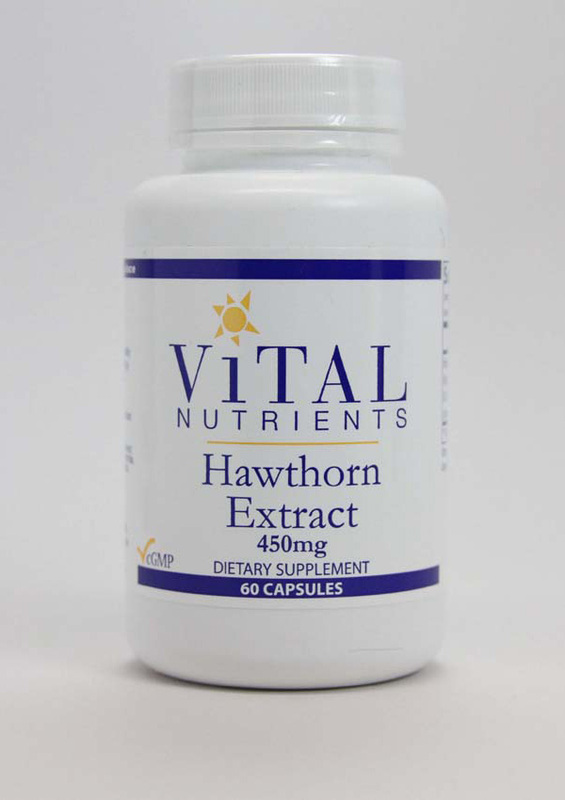 HAWTHORN EXTRACT contains potent flavonoids and other compounds that work together to promote cardiovascular health. Hawthorn extracts from the leaves and flowers support the cardiovascular system, including the protection and preservation of heart tissue. Hawthorn is also a tonifier of the vasculature. 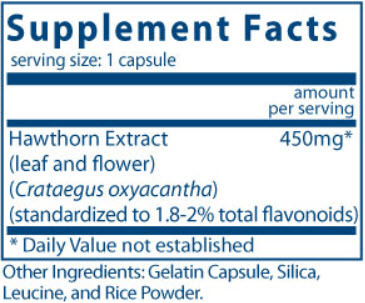 Recommended Dosage: 1 or 2 capsules once or twice daily between meals, or as directed by a healthcare practitioner.